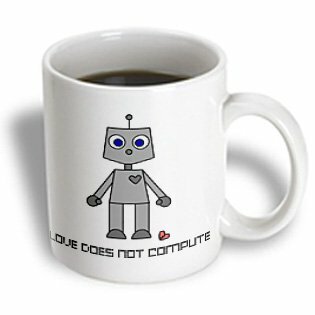 Just a couple of weeks ago, we did a post about gift ideas for robot fans which was so popular, I thought we’d do one today for Valentine’s Day. 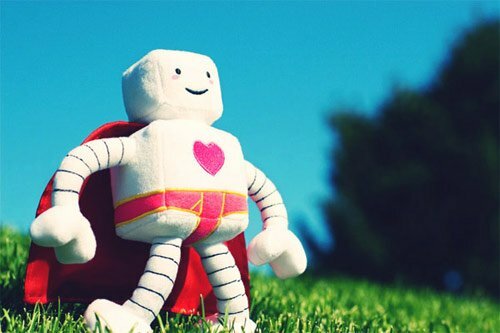 Robots were beings of imagination for so many years, it’s hard to imagine that technology has advanced enough to bring them to life but we are still a long way off these recognisable humanoid shapes. That’s great though because it means that artists and designers still have the freedom to make any robot design they can imagine! 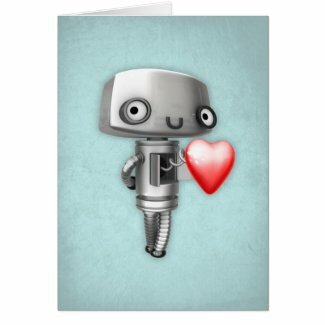 It doesn’t really matter if your Valentine isn’t a huge robot fan – these robot themed Valentine cards are so cute, I think they’d be appreciated by almost everyone anyway! 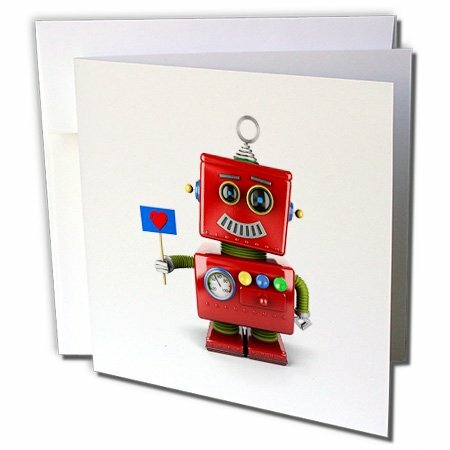 There were so many lovely Valentine’s cards featuring robots, I just had to include 6 designs today. 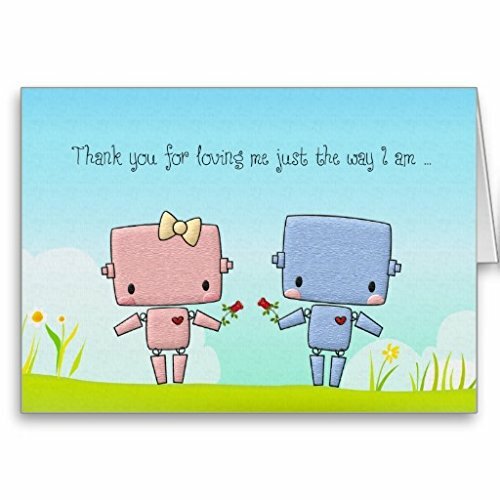 These are all designs from Zazzle which means that most of these designs can be customised – usually you can add your own message inside the card. 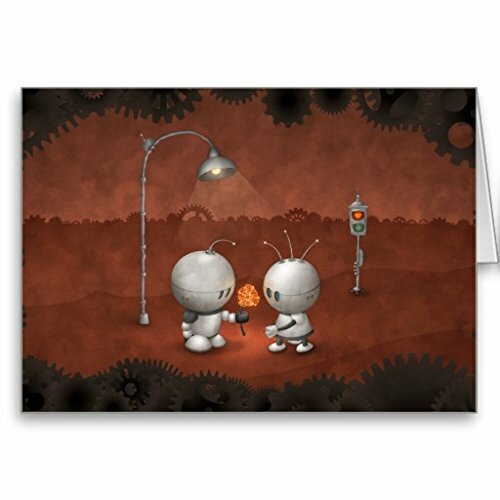 Valentine’s Day wouldn’t be complete without a plushie and I found three super cute robot plushies for you today. 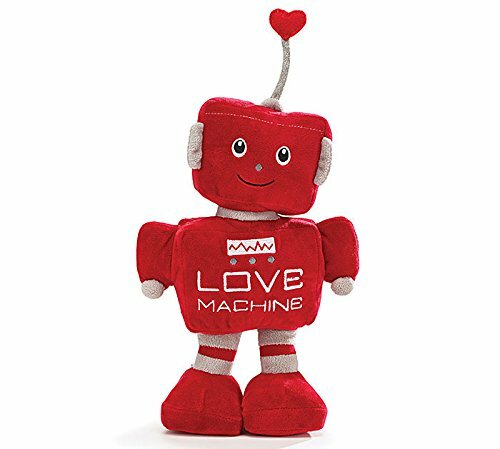 My favorite is the bright red love machine robot & I know just who I’d be giving that too (if he liked plushies that is!) but the Superbot is a close second favorite for me. 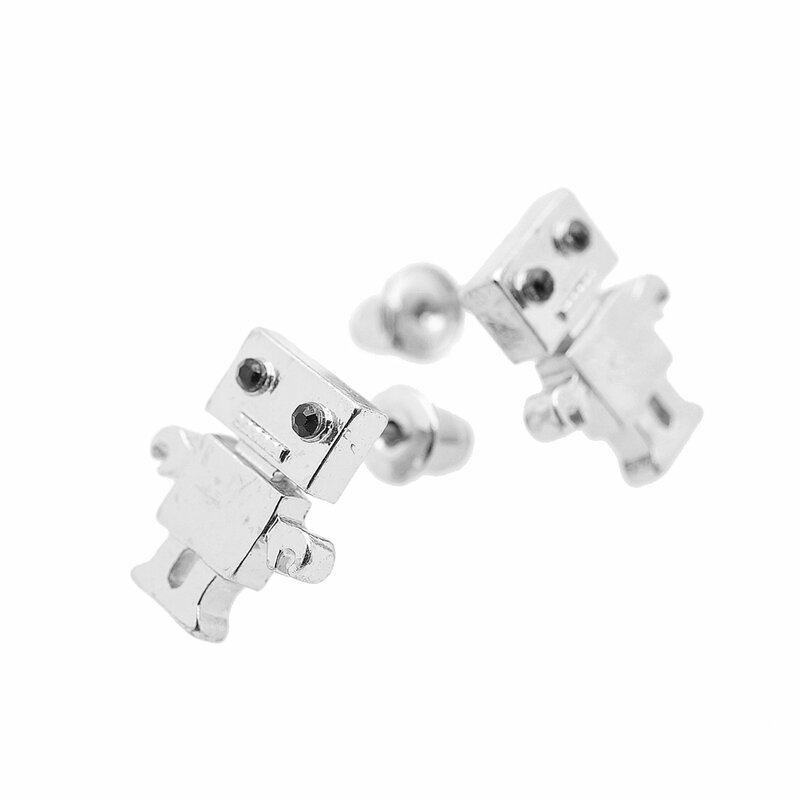 Jewelry is always a good Valentine’s Day gift and these robot necklaces and earrings are no exception. 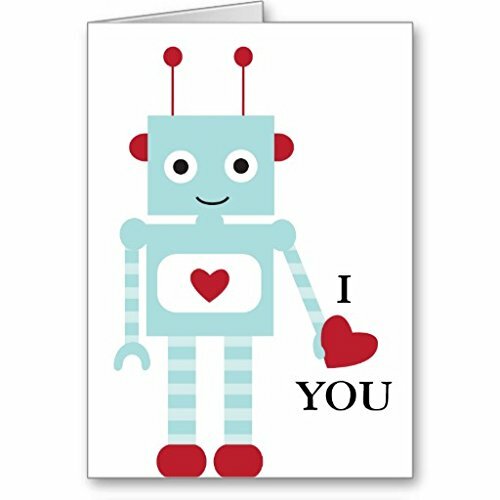 I love the brass & crystals steampunk-ish retro robot – very colorful and has a long chain so can easily be worn against plain dark colored shirts. 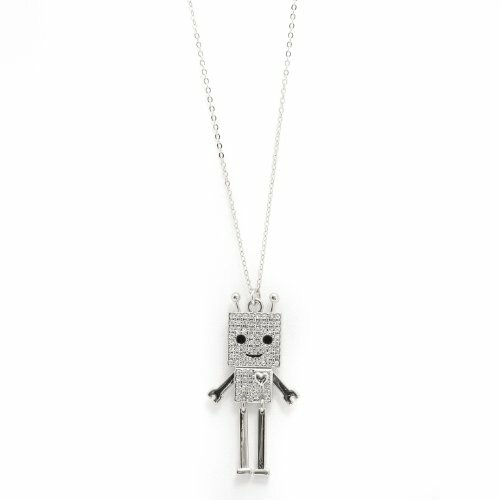 The tiny silver smiling robot is gorgeous and very sparkly – a perfect melding of girlie with geeky in my opinion. 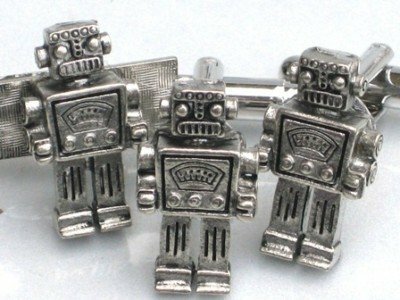 Jewelry for guys is not so popular but there are loads of cuff links available with robot designs. 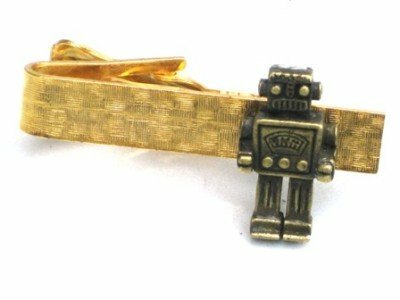 The silver Mr Robot cufflinks and tie pin makes a nice gift set and the tie pin is available in brass color too. 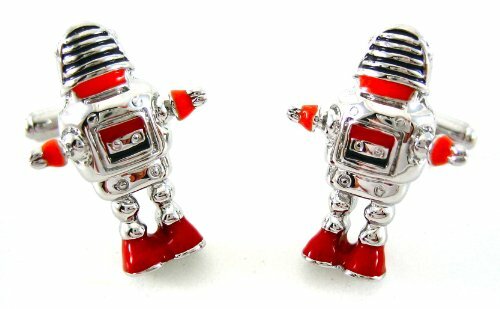 The design of the silver spring robot cufflinks are straight out of the old robot movies of the 1950’s and 1960’s – perfect for a robot fan or an old school movie fan. 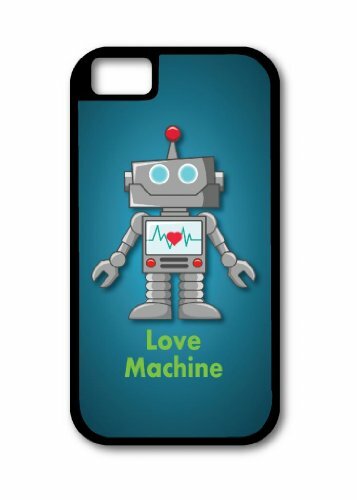 Lastly, we have a couple of phone cases and a mug – there are loads of robot themed mugs and phones cases too so I just picked my favorites. 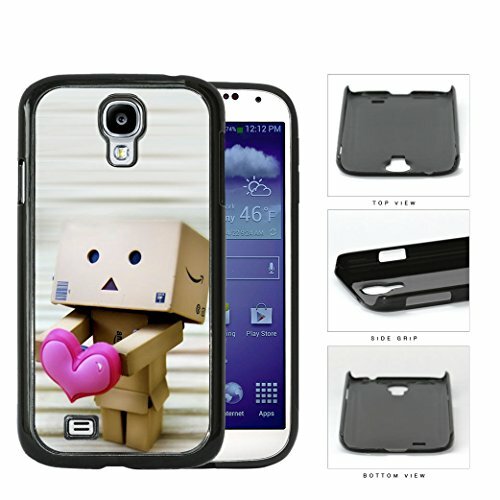 I adore the cute box robot design and although I’ve linked the Samsung Galaxy S4 case here, it is available for 28 different types of phones including various iPhones, HTC and Motorolas too. 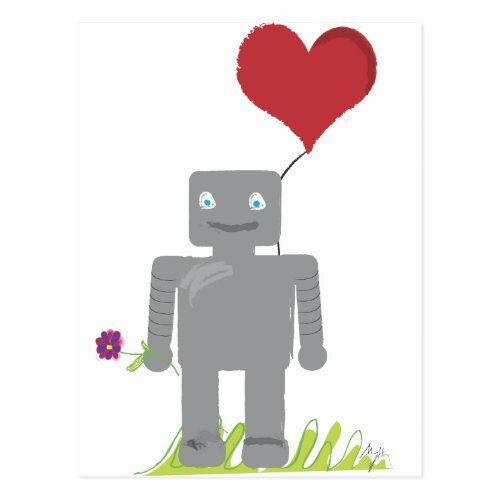 If your Valentine is a robot fan, I’m sure they would love any one of these cute robot Valentine’s Day gifts but if you need more ideas, you can type ‘robot’ in the search box to find other posts that have robot gift ideas for you. 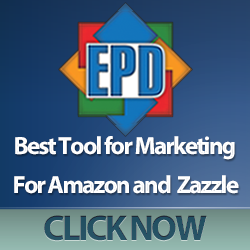 We’ve featured shot glasses, thank you cards, flash drives and even a cotton towel in previous posts. Don’t forget to pop back regularly to see what else we can find for you or if you prefer, you can sign up for our mailing list and have each post delivered directly to your mailbox.